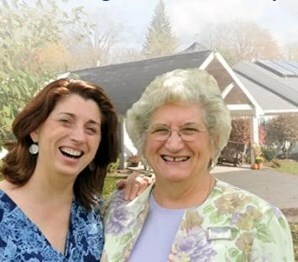 Looking for an Assisted Living Community for your parents can be an overwhelming experience. This article gives great advice on what to think about and what to look when beginning the search for the right Assisted Living Community for your loved one. In many ways, looking for the right assisted living is like finding the right college. A college is a place where students live 24/7, they are away from your eyes, and they are there for years. And so it is with an assisted living or nursing home. This is why this choice can be just as a difficult as finding the right school. Below I break the decision down to a step by step process where often the right decision often becomes clear. First, some definitions. A nursing home offers 24-hour a day staffing that always includes a licensed nurse. This article is not about finding a nursing home. An independent living stand-alone – no assisted living – usually only has staff on during the day and does not have around the clock staffing. Any personal assistance you need for you parents must be brought in. This article is not about finding this type of residence. An assisted living center has staff on site 24/7, but it often does not have a licensed nurse on site during evening, weekend, or night hours. This is true of residential care as well. 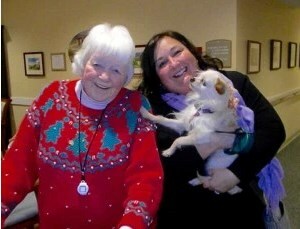 Some assisted living communities combine independent and assisted living in one building. This article is about finding the right assisted living community for your parent. Start first by narrowing down the geographic area where you want your parents to live. If you and your parents live in the same city or town, this narrows your choices. I always recommend that if at all possible the residence should be near an adult child who is also at least the designated durable power of attorney for health care. The highest quality care comes when the older person, a family member and the home’s staff work in concert together. A home’s staff only knows that person now. You have known them for decades. Combining clinical expertise and personal expertise with the right environment creates a great quality environment. If there is more than one adult child, then the family needs to choose the adult child the parents will live near. At times, parents want to stay in their hometown even while adult children are away. This makes sense if the parents have friends who live in the long-term care home or who can visit frequently and they have deep ties to the community. In that case, adult children need to work harder to stay in touch and visit as frequently as possible. Different residential options have different price tags. What is your parent’s monthly income? Will they be selling a house or cars or other high dollar assets, now or in the future? What are their savings? Do they have long-term care insurance? What is their health like – do you see a few more years of life for them or a few more decades? Are children able to help and for how long is that feasible? The healthier your parents’ finances, the wider their and your choices. Most independent and assisted livings want to see three to five years of ability to pay out of pocket or through long-term care insurance or some combination. Some assisted livings have state assistance slots. Some don’t. Most residential care homes will have some state assistance slots. You might want to seek the advice of an accountant or financial planner to get started. they can help you put a plan in place to use any investments wisely. And don’t be afraid to ask each facility if they have advice for you as well. Unless your parents want to move to downsize and get out of caring for a home, if you are looking at an assisted living, this means your parents are facing health challenges living in their own home or with you. You want to understand what their diagnoses are (dementia, diabetes, Parkinson’s, congestive heart failure, etc.) and how serious their conditions are. Is their dementia mild or advanced, for example? How much does their COPD hurt their breathing? Do they use oxygen occasionally? All the time? Are your parents still robust walkers or can they barely make it from one room to the other? Do they furniture walk – walk only as they can grab their furniture? Do they fall frequently? Can they get in and out of a car? Can they dress themselves or do they need help? Can they still cook and clean? Is your parent healthy in body but suffering from Alzheimer’s or related dementias? This also affects the type of care you should look for. If your parent has begun “wandering”, this may be a sign that a memory care center is a better option. Mild dementia does not automatically call for memory care, but knowing what may be down the road can assist you in deciding whether to start them in assisted living in a community that also provides memory care when the time comes. Make sure your parents’ diagnoses are complete in their medical record and that if their doctor recommends they move to an assisted living it is in the medical record. If they have long-term care insurance, this can help when you ask for the insurance company to pay for assisted living care. The answers to these questions determines what you are looking for in an independent and assisted living and also determines the type of room and placement of the room you are looking for. At Cedar Hill, if someone is still a robust walker and loves to walk, needs little help and is pretty independent, I will look at rooms further away from our nurse’s station. If someone has congestive heart failure and only walks short distance, I would only look at rooms close to the nurse’s station and dining rooms and activity areas. Now that you know geography, finances and health, you are ready to research potential assisted livings communities in your area. Ask doctors and nurse friends, friends, hospitals, business colleagues, and any one you can think of. Look online at web sites. Talk to state associations, ministers and churches, and physical and occupational therapists. All of these people visit assisted living and nursing homes or work with people in them. They can tell you the places they admire most and feel confident in the care. As you talk to a variety of people, choose the places you hear the most about in a positive way. Talk to people whose family members have lived there. Now think about what your parents want in environment. Do they want upscale? More informal? Do they want to bring a pet? Do they need a one or two bedroom apartment or a studio? I recommend having at least three choices that your parents can afford and that you want to explore in person. Now you start calling to talk to their admissions coordinator. First you want to find out if they have any availability in the time frame you are thinking and then you want to ask what they look for when considering an admission. If you feel comfortable after talking to them schedule a tour. Independent and assisted Livings are like colleges or churches. There might be 10 Congregational churches in your driving range. No two feel the same walking in. What seems right on paper might not seem right when you walk through it. It might be too fancy or too shabby. It might smell or the food might be lousy. It might have a group where everyone stays in their apartments and your mother is a social butterfly. Every community has its own personality. As you take this tour, this is the big picture you want to take away. Here are some of the important criteria beyond personality you want to consider and learn more about as you work with admissions coordinators and tour the facility. Is there are doctor or nurse practitioner that visits in person on a regular basis at that home? How often? How many hours a week is a registered nurse on site? Is there more than one nurse affiliated with that residence? Who is there on the weekend? What is the staffing ratio of Resident Assistants to Resident? Does your parent need assistance with medication? If so, how is that handled? Is there a fee? Are residents expected to provide their own medication or can it be ordered through the facility? Is there a call button easily assessable? Most facilities provide a necklace for residents to wear 24/7 in case of emergency. Is transportation available to medical appointments? At what distance? What other specialties visit on-site? Some possibilities are physical, occupational and speech therapists; wound nurse; podiatrist; dentist and dental assistant; vision services; mental health therapist; psychiatrist; and pharmacist. Ask for their weekly or monthly activities calendar. How many activities are scheduled in day. Do they have a van or car to take residents places? Do they have an exercise or wellness program? How many people are in the activity department? Do they allow pets and what types? Who takes care of them and buys the food and walks them? You and your parents want to have a meal at the residence you are looking at. You want to ask about the food. They will be eating there three meals a day. You want them to enjoy the experience and the people they are eating with. You also want to know what special dietary needs are accommodated. Do you feel comfortable there? Would you enjoy visiting? More importantly, do you r parents? Is the environment clean and well cared for? Is it in good repair? Do you like the apartment or studio? Is housekeeping provided, or is this the responsibility of the resident? What about laundry? Do you like the other residents? Are they friendly? Can you see your parents becoming friends with them? Do not hesitate to ask the person giving the tour if you can ask a few residents how they like living there. Are they happy? Again, they will be eating with their fellow residents two to three meals a day, as well as in activities. Friendships are a human need. You should try to meet the executive director, the director of nursing, the activity director, the head cook and some resident assistants. Once your parents are living there, these are the people you will want to be your eyes and ears and you will be working with them to solve and address any health care or other issues. Are they friendly? Do they want to talk to you? Can they answer your questions? Once you have visited at least three, you will have a much better feel for what is available in your price range in the area you want. Write down your pros and cons. One may stand out to you as the best fit for your parent. That’s the best outcome! If you have not brought your parents to see this community, now is the time. While many web sites advise you to drop by unannounced, I do not advise that unless you just want to do a drive by or walk in the lobby. Few admissions directors can give you the time you need unscheduled. But once you narrow it down, and do not need a tour, a drop by is a good chance for you to get the feel when not escorted. The best way to do this is if you have someone you can visit with or you know there. When you find the right independent and assisted living and your parent is flourishing there, all this work will pay off. That is the ultimate goal for all of us in this profession. 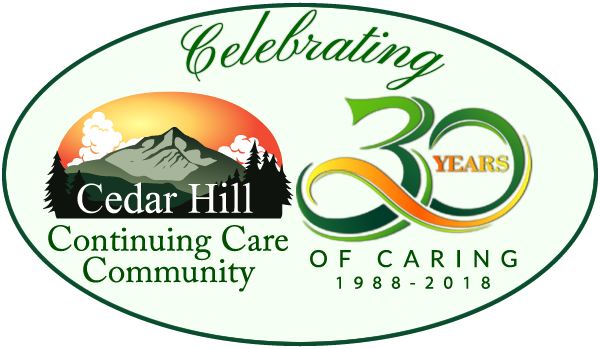 Patricia Horn is a licensed nursing home administrator and the community administrator at Cedar Hill Continuing Care Community in Windsor, Vermont.